Xiaomi launched the Mi 9 and Mi 9 SE smartphones last month in China and then announced both the phones for the global market during Mobile World Congress 2019. Xiaomi is now planning to launch another phone under its Mi 9 series. Rumours suggest it is the Mi 9X. According to a post on Weibo, the Xiaomi Mi 9X is in the developing stage. The Weibo post not only revealed the existence of the Mi 9X but also revealed specs and pricing details of the smartphone. The Xiaomi 9X will be launching in China for the time being, and we assume like the Mi 9 and Mi 9SE, the Mi 9X may also be available in the global market but with a different moniker. The leak suggests that the Xiaomi Mi 9 will launch for a starting price of CNY 1,699 – which roughly comes around Rs 17,500 approx. As of yet, there are no words or information on whether the Mi 9X will come to India. Possibly it will not come to India considering the Mi 9 or the Mi 9SE didn’t make it to the country, but we might see it as Mi A3 in the sub-continent. The Weibo post has revealed almost everything about the Mi 9X. According to the leak, the Xiaomi Mi 9X will come packed with a 6.4-inch AMOLED Full HD+ display with an aspect ratio of 19.5:9. 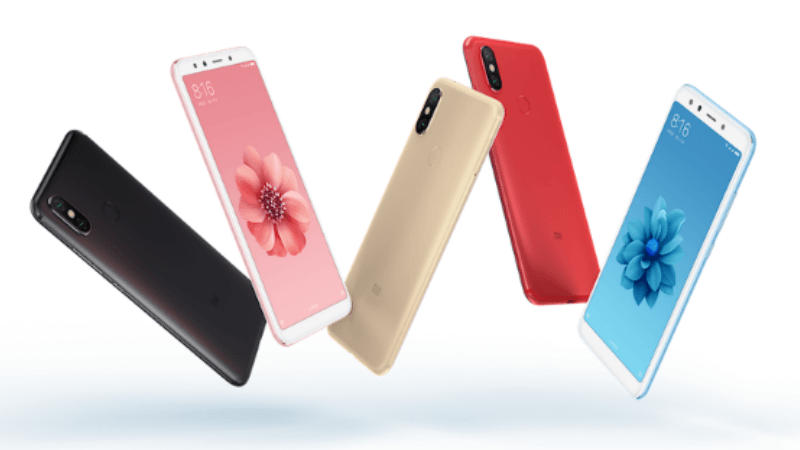 Similar the recently launched Xiaomi phones like – Mi 9, Mi 9SE, Redmi Note 7 series and Mi Play – the Mi 9X is also said to come with a waterdrop notch – Xiaomi calls it Dot Drop notch. On the hardware front, the Mi 9X is tipped to be powered by Qualcomm Snapdragon 675 processor – similar to the Redmi Note 7 Pro — paired with 6GB of RAM and 64GB of internal storage. There may be some other variants too, but the Weibo post didn’t reveal much about the other models of the phone. The leak also mentions that the Xiaomi Mi 9X will run on Android 9 Pie OS based with MIUI 10. On the camera front, the Mi 9X is tipped to include three cameras on the back panel and single camera on the front which will sit inside the dot drop notch on the top of the display. On the rear panel, the Mi 9X will come with a primary 48MP sensor, secondary 13MP sensor and third is an 8MP camera. On the front, the Mi 9X is said to come packed with a 32MP camera for clicking selfies. Another leak suggests that the Mi 9X’s 48MP camera will use Sony IMX586 sensor, while the 13MP sensor will use an ultrawide lens and 8MP sensor will be for depth shots. The Weibo post further reveals that the Mi 9X will be backed by 3300mAh battery with support for 18W Quick Charge 4+ fast charging. As of now, there are no reports on when Xiaomi will officially launch the Mi 9X in China and other markets. Will Xiaomi Launch Mi 9X as Mi A3 in Global Markets? Xiaomi has a separate Android One devices lineup for global markets including India. The Mi A1 was an Android One edition of Xiaomi Mi 5X, followed by the Mi A2 which was a rebranded variant of Mi 6X. Xiaomi might be looking to unify its product lineup and ditch the Mi 7X and Mi 8X by launching the Mi 9X. If the Mi 9X comes as a successor to the Mi 6X, then we can say it will the Mi A3 running stock Android for international markets. Good to see Amoled display in 15-20k segment along with great camera. Wish battery could have been better. Xiaomi doesnt have guts to introduce premium MI series in India. They lacks selfbelief if premium users can accept those phones like MI9 or not. Hence they are happy with cheap series of lineup like Redmi, POCO, Redmi Go, Android One etc.. That is the reason the company stands nowhere in front of Flagship killer phones launched by Oneplus in India.